This just in from Modiphius Press! Major New Artists Join Team! You can now help playtest the game! You can download the Alpha Playtest Pack v1-0 here. This features an extensive introductory adventure by Lou Agresta and Scott Oden. 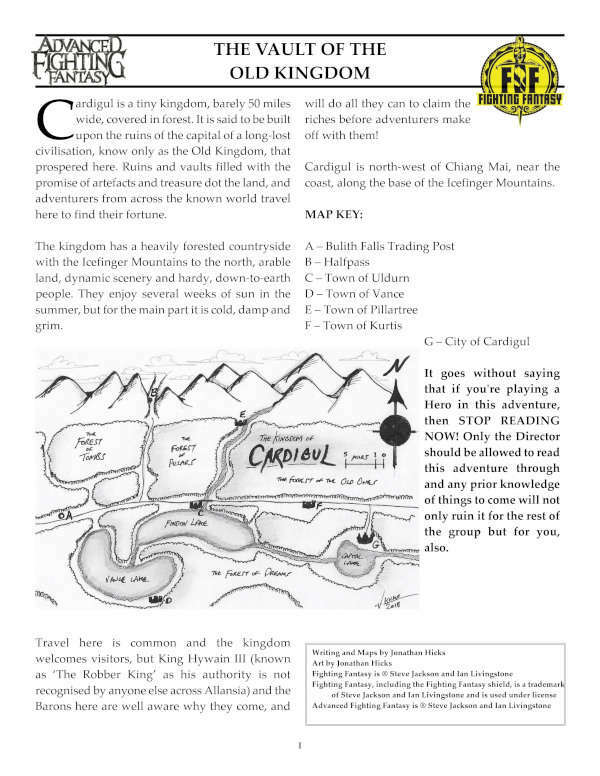 You will find an introductory playtest ruleset, the adventure and a rough map to get you going. The purpose of this is simply for you to test the basic rules, get to grips with fighting, moving, skill tests and so on. You can discuss this playtest pack, post comments and queries in the forum here. In 2-3 weeks we'll be sending a feedback survey for you to give us specific responses and an updated playtest pack. There are many things to love about the 1st Edition Star wars RPG from 1987, and the torch still burns brightly. These newly covered fan editions look amazing and would look great on anyone's shelf. The D6 System version is, for me, the definitive version of a Star Wars Roleplaying Game. It was fast, highly adaptable and really atmospheric and considering that I bought the game when Star Wars was celebrating 'The First Ten Years', it's aged remarkably well and challenges any modern game for fun and accessibility. You can view the new fan-made editions here. Based on a West End Games Star Wars D6 RPG session encounter in 1995. As my vessel, the Bolder Than Most, decelerated from hyperspace, and the streaks of light that denoted the transition to real space were reduced to mere stars, I couldn’t help but feel excited. Here I was, over the planet Zelon, over the city of Chancai. Chancai! The greatest Trade Centre in the galaxy, or so I had heard. The planet glowed blue and green below me and directional satellites indicated which direction I should go. Hundreds of ships were coming to and from the planet’s surface, and as I watched the great lumbering form of an Imperial Star Destroyer hove into view. But not even the presence of the Empire could stem my feeling of joy. After all, I had travelled who-knows how many parsecs to get here, right here. From the core, approaching the outer rim. All my friends had told me I was crazy to come here, that most people came to find their fortune and only found death or misery. Well, with me it was going to be different. I was going to show them all that I had the energy and the confidence to get further than everyone. If you make it on Chancai, you can make it anywhere. I dropped the nose at the instruction of the automated orbital satellite, and followed the pre-set course to the surface. I hit atmosphere and then cloud, and, as I looked out of my port window, I watched another vessel trailing me, a large heavy freighter with a long nose and a wide rear engine compartment. With a burst of energy it lurched forward and led me down. My heart leapt from my chest as I saw the city; a huge, mile-high construction with the appearance of a giant pyramid with the very top lopped off to make a flat summit. Down the centre of the construction was a shaft where vessels of all sizes flew in and out, with hundreds of landing bays lining the walls on all sides on all levels. Like insects the ships buzzed around the city, and long lines of vessels formed orderly queues as they awaited landing instructions. The heavy freighter joined the queue. My ship was small enough to be slotted into a communal landing bay, and I steered her in carefully. I entered the top of the shaft, lowering her on repulsors and thrusters only, and dropped to my landing level. A small circular pilot ‘droid zipped out to help guide me into the bay. It’s difficult to explain how I felt travelling down that shaft. On all sides were large and small bays and huge plastiglass windows looking into consumer centres and parts of the city that appeared to be small townships built into the walls. Beings of all kinds leaned over railings to look down the shaft and watch the multitude of ships coming and going. I slotted my ship into position and disembarked. My first conversation was an argument about landing fees! Two hundred credits a day, and Imperial credits at that! That was huge chunk out of my budget already. I walked angrily from the bay and into the bustling street. What a sight! A huge promenade stretched out before me. On either side were multitudes of shops and trade rooms, with thousands of beings from all over the galaxy walking about. Repulsorlift traffic sped along the causeway, with four lanes flying above and below each other in some form of organised chaos. I imagined that being in the city was to be a claustrophobic affair, but the ceiling of this level went as high as an eight-storey building. I took one step and was immediately swept along the tide of beings scurrying off in all directions. I laughed to myself; maybe if I let these streams of life take me I would end up somewhere practical. I decided to follow the flow and just try and comprehend what I was looking at. White-armoured Imperial Stormtroopers walked in pairs through the streets, shadowing Chancai’s own policing force. I had heard that the Empire had sent a token force here, but Chancai was such a huge source of revenue it wasn’t worth their while invading and scaring off potential spenders. As I mulled over this particular thought, I felt a huge hand wrap around my upper arm and yank. Before I knew what was happening, I had disappeared into the long alley between two trade rooms and was deposited heavily on the floor. I looked up to see the biggest, most ugly alien I had ever seen. Even in the dim light I could see a long face and scaly lips, a horned head and a strange cluster of dark eyes. It grunted as it held tightly onto my arm and squeezed. I yelped and grabbed his huge double-jointed wrist. A small human seemed to materialise behind him, and smiled a thin-lipped smile. "Saw you touch down," he whispered, wiping a sweaty brow with a dirty cloth. "Need a ship". I explained I had only just arrived and needed my vessel checked out, but this answer just made the alien squeeze tighter. "Need a ship," the man said with a movement of his hand, and he produced a wad of credit chips. As I began to consider the offer, not just for the monetary gain but because of the concern over my health, the alien suddenly slumped forward. I rolled out of the way as the huge form fell flat on his face. The man, shocked and scared, leapt sideways and reached for a weapon at his belt. He squeaked strangely as his chest exploded into sparks, flinging him back and against the wall. The shot had come from the opening to the alleyway. "Alive, Galletti! Glann wanted him alive!" came a deep resounding voice, and a huge figure stood over me. I looked up into the face of a man with a concerned expression as he looked down. I explained I was, and he nodded and kicked the alien, holstering his pistol. "See, Goah? Stun shot, no mess. Now we take it back and we question it. Why? Because I stun shot him and didn’t blow him all over the alleyway on high power". The other figure seemed to materialise out of the darkness as he approached, dressed in black with several strange attachments to his headgear and weapon. He looked at me with a stern expression and then looked away dismissively. "Stow it, Jan. The sanction has been fulfilled". The tall man looked back at me and held out a hand to help me up. "What are you doing here? Don’t you know it’s dangerous to walk so close to service corridor entrances? This is a dangerous place". I told him the man’s questions, and that I was just a passer-by. I explained why I had come here, to make my fortune and try to find fame. The two men looked at each other and smiled knowingly. "What just happened to you is pretty much the norm around this whole sector," said the dark man as he holstered his own weapon. The beings bustling past the open end of the corridor seemed to be trying their best to ignore what was happening. The tall man looked at me and smiled, holding out a hand that I took and shook firmly. "First rule of this place - buy a bigger gun. Oh, and welcome to the Setnin Sector." Histories – A short Jonathan Hicks tale that shows the inherent dangers in working and operating in the Setnin Sector. An outsider, the unnamed visitor comes across Jan Lomona and Goah Galletti, two of the sectors most famous names. What is the Setnin Sector? For a simple analogy, take Jabba the Hutt and Prince Xizor and spread them out across dozens of planets. In 1982 Mark Newbold created the character Jan Lomona, a tall handsome smuggler who oversaw the welfare of Ecaps city on the peaceful planet of A-Desando - a peace soon disrupted by the arrival of Lando Calrissian and Chewbacca as they searched for their friend Han Solo. In 1984, Jonathan Hicks created Goah Galletti, a naïve trader who threw himself in the deep end by offering his services to Jabba the Hutt, who laughed him out of his audience chamber. These two characters were created so that Mark and Jonathan could creatively interact with the Star Wars universe, as after several years of being thrilled by the adventures of Luke Skywalker and his friends they wanted to create stories of their own in the same vein. The characters travelled and had adventures in the form of written stories which started with Mark Newbold’s novel ‘Quest for Freedom’ in 1982, and then followed by other short stories by Mark and Jonathan Hicks that were produced up until the present day. There were also many audio recordings, at least fifteen hour-long dramas recorded between 1985 and 1989 - which, sadly, were lost in a house move although snippets still survive – that featured Mark as Jan Lomona and Jonathan as Goah Galletti. They also did the many other voices of supporting characters, the number of which rose and rose. In all these stories, as well as visiting the primary worlds of the Star Wars universe, they visited new worlds created by Mark and Jonathan and, as time went on, they spent more time on these new worlds than they did on the established ones. The characters, planets and locations increased and a record was kept of the new creations for ease of reference. It was apparent early on that the majority of the adventures the two characters were having were mainly in the underworld of the Star Wars galaxy – the stories were based around their dealings and confrontations with the undesirables of the universe. This was mainly borne from the fact that the galaxy at large, embroiled in a huge civil war, was already being addressed by the movies. It was the glimpse of the underbelly – the cantina in Episode IV, the bounty hunters in Episode V and Jabba’s Palace in Episode VI – that caught their attention. More and more of the stories revolved around this slice of the Star Wars universe, and they became much darker than the explosive exploits of the films. With so much of their own material set apart from the rest of the Star wars universe, Mark and Jonathan needed a place to put it all. It was originally scattered throughout the established setting but they had another idea – why not consolidate it all and give it a location of its own, much like the Corporate Sector Authority that Brian Daley wrote about in the original Han Solo novels? This would be an area of space especially created for their characters to play in, so they could have their own adventures without interfering with official Star Wars canon. This way, they could write and create and feel that they were actually part of the Star Wars galaxy without contradicting or interfering with it. The Setnin Sector was born. In 1987, Star Wars: The Roleplaying Game hit the shelves and a whole new avenue of creativity was opened up. Both Mark and Jonathan played their characters Jan and Goah in the game, and with that the number of supporting characters and locations exploded. Two or three gaming sessions a week gave birth to so many new names and places that many have been long forgotten about or lost. In 1989, overwhelmed by the sheer number of new creations, a tome was create to store them in, a huge ring binder sectioned off into easily referenced sections. This tome became known as ‘The Folder’, and was passed around the group as required. 'The Folder' - Now more than quarter of a century old! 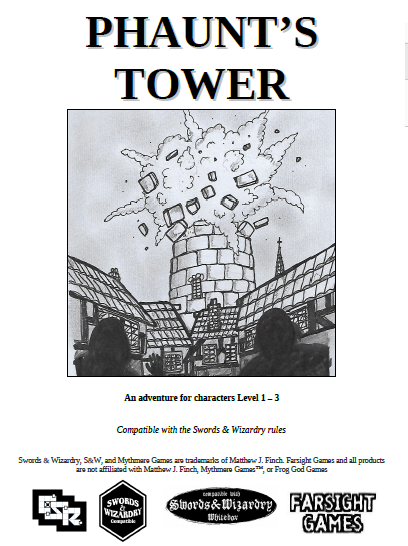 This created a fantastic central reference for all the players – should any single person want to create something for the Setnin Sector or run a roleplaying session there, then they were passed The Folder. This had everything they needed to run a game in Mark and Jonathan’s playground. It also became apparent that the Setnin Sector had taken on a life of its own; because there were no huge limitations on what could be created, both design- and story-wise, then people were free to come up with what they wished as long as it fell within the realities of the Star Wars universe. Mark and Jonathan had only one strict rule when creating material; anything created should not contradict or overshadow the established official Star Wars canon, either from the movies or the new Expanded Universe. 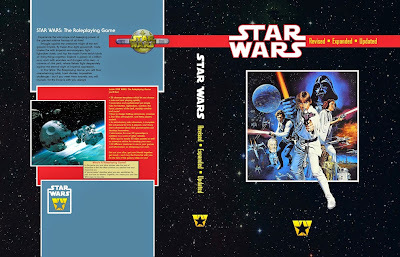 The Expanded Universe grew from the seeds planted by the sourcebooks for the West End Games roleplaying game, and then catapulted Star Wars back into the public eye with the Timothy Zahn ‘Heir to the Empire’ novels. Between the roleplaying game material and the slew of new novels there was always the possibility that something created for the Setnin Sector would be pushed out or contradicted, but the wonderful thing about the sector was that it was so separated from the rest of the Star Wars galaxy that everything that went on outside its borders had very little effect on it. Characters from the Setnin Sector could go into the official galaxy any time they wanted and interact with the established setting, as long as they didn’t contradict or overshadow anything. Back in the Setnin Sector, however, they could pretty much do as they pleased. This was true of all the new Expanded Universe material, through the Star Wars prequels, the Clone Wars cartoon and beyond. Even though material had been created detailing tens of thousands of years of Setnin history, and even forty years beyond Star Wars Episode IV, it didn’t contradict anything, and only minor changes were made to fit in with any unavoidable galaxy-spanning changes made by canon. Many things changed during the roleplaying years. One of the primary ganglords, Glann Cipple, changed from a huge hulking multi-legged slug-like creature (our version of Jabba the Hutt) to a paranoid, angry, reclusive human being. Tunille Fulle, originally designed as a Rodian gunman, became a T-headed Entallian sharpshooter. Goah Galletti, through many personal tragedies, changed from a happy-go-lucky smuggler to an embittered, cynical assassin. Locations also changed – the lush, jungle world of Cawbate became a bland, barren location, and Dressle, the world’s local ganglord, moved from a mountaintop fortress to a constantly moving tandem of sail barges. Leogard, once a pleasant grassland world, became a strip-mined nightmare. The whole sector was in upheaval as new stories were told. The characters also became very distinctive – Jan Lomona’s casual swagger, Mr. Spyte’s deviousness, Gern Omik’s insanity, Arkin’s loyalty, Latti Tellex’s cynicism. Each character was so well defined that they were easy to write for in stories and play in the games. They became solid, believable characters and their likes, dislikes, loyalties and rivalries played huge parts in the development of the sector. Although the majority of them were criminals in one way or another, they could be likeable rogues, and sometimes even heroes in their own right. As well as the Star Wars films, there were other movie influences on the direction the sector was taking; The Godfather, Goodfellas, Casino, Once Upon a Time In America, The Untouchables… as classic serials had influenced the official Star Wars universe, gangster movies influenced the Setnin Sector. All this was fan fiction – as none of it was official, why worry about contradicting or influencing official canon? Mark and Jonathan were very conscious, almost from the very beginning, about how they would interact with the official universe. It was one part respect for the canon and one part a calculated intention; there was a worry that if creations had no limit on their progress and do what they pleased then things would get out of control. By limiting the abilities and influences of the characters and locations, and their influence on the Star Wars universe as a whole, then everyone creating material worked on a level playing field and the Setnin Sector could exist in line with canon. This gave the sector a level of reality unheard of in almost all other fan created material as it co-existed alongside the official Star Wars universe and, while not official, felt like a solid part of it. The games continued throughout the 1990s, and players came and went. The number of planets and characters increased and it became apparent that The Folder wasn’t enough to contain everything being created. This was mainly Jonathan Hicks’s fault as he couldn’t stop adding to the already mountainous amount of creations, and every new roleplaying session added even more to the pile. Other folders, notebooks and pads piled up and the sheer amount of material became overwhelming, almost impossible to use. In the late 1990s, Mark Newbold began a project that would take several years to complete – he decided to transfer every piece of data in The Folder and the accompanying notebooks and put it all onto computer. 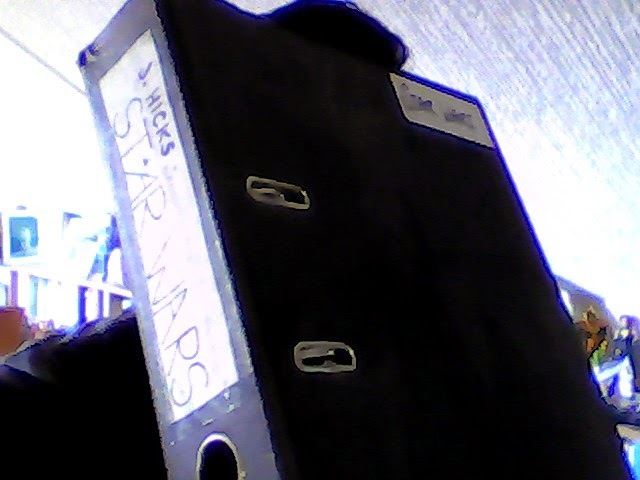 All the characters, planets, locations, starships, creatures, alien races… everything would be put in digital format so that it could be easily referenced and transported. Little did Mark know how much work would be involved transferring and cross-referencing everything. In fact, the project became so large that not all the information was moved over. Another thing that came of this was that it was decided that the place was far too big to be called a sector. The Setnin Sector became the Setnin Region, and it was broken down into smaller quadrants of space within Setnin’s borders. With the dawn of the internet age, the Setnin Sector found a new home – the Lightsabre website. Every piece of information was put online for the world to see, and short stories were written to support the material. These few stories became dozens of adventures, snapshots of life in the Setnin Sector, and to contain all this a timeline was created. The Setnin Sector, after many long years, felt truly alive. When Mark Newbold joined Jedi News in 2010, the Setnin Sector went with him. All material create by others was removed and the content whittled down to the material created solely by Mark Newbold, Jonathan Hicks and collaborator Paul Squire. Now this huge, expansive slice of the galaxy had even larger exposure to the public. It was also realised that the sheer size of it was overwhelming – such a massive piece of the Star Wars galaxy surely couldn’t be ignored for so long, so another choice was made; why not separate the sector as a whole, and place it above the galaxy. 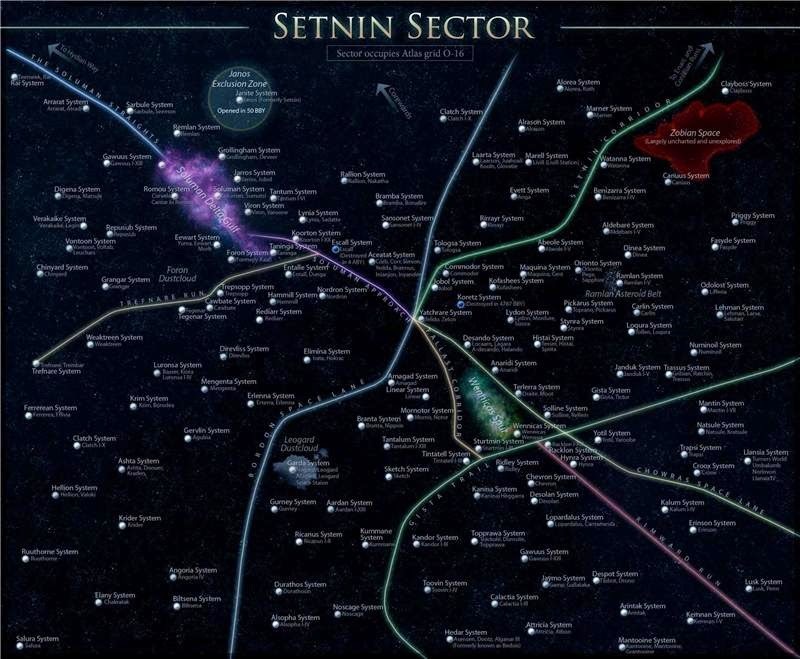 The Setnin Sector became part of the Sedapard Cluster, a gas cloud above the galaxy where Setnin and other locations could exist. With this final piece in place, the Setnin Sector finally found a home where it could stay. Just watch. I can't say how this makes me feel, or how what I've just seen makes me think, but my Star Wars D6 1st Edition books are getting a damn good read this weekend. 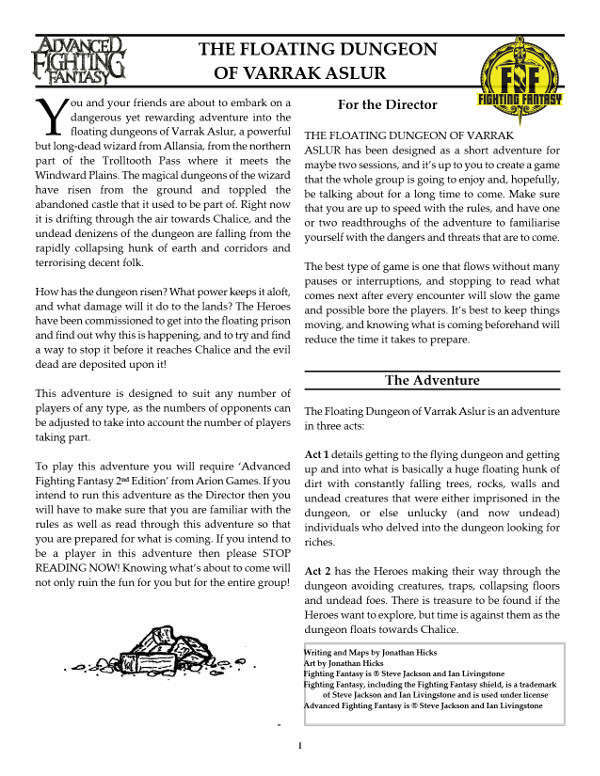 Another session report from the dude over at Gmorts Chaotica, the tabletop gaming blog. The more I read about this the more I realise that I really want to own this game. It's not as gonzo batpoop insane as I thought it might be, my opinion based on the Iron Kingdoms product already released by Privateer Press, and the setting really does have a lot of atmosphere. It's not a genre I've delved into too much but this session report and the game itself make me want to dive in head first with no floats. Get on over to the Gmorts Chaotic website now and have a read of what sounds like a cracking night's gaming. This epic adaptation of Michael Moorcock’s classic story originally appeared in the late 1970s and Titan Comics are collecting the series over several books starting with this volume, documenting Elric’s first troubled thoughts as he sits atop the Ruby Throne to his self-imposed exile – or fact-finding mission, call it what you will – into the Young Kingdoms. Using Moorcock’s original narrative the story is adapted exceptionally well by Roy Thomas, who manages to capture the written atmosphere of the original and translates it well to the comic. It sticks close to the original story and, even though there were a few moments when I felt that the writing was a little too much and would have preferred much more showing and a lot less telling, it is a great read. The artwork is of its time and many times I wasn’t overly sure of the design choices. I know that creative work such as this can be subjective and everyone has an idea how things look in their own minds, but I never really felt it grasped the true decadent grandeur of the Dreaming City of Imryrr and the costumes, while fascinating, felt somewhat weird for weird’s sake. If it does capture something its the somewhat twisted strangeness of Moorcock’s work, and that definitely shines through. The thing that may let it down a little is the colouring, which is so stark it’s somewhat uninspiring – there’s a colour dot extravaganza on page 29 – but that’s more because it’s a product of it’s time rather than anything else. The characters are well defined and Elric especially feels great. The thin, delicate look of the character is drawn really well and there are times when he looks so brittle he could just snap at any moment, especially in the opening pages. Every character is done well except, perhaps, for the tale’s villain Yyrkoon, who’s dress sense and facial expressions make him positively pantomime and difficult to take seriously. Rackhir the Red Archer, also, is somewhat peculiar and when I first saw him all I could think was that he looked like a cyberpunk Robin Hood. But don’t let that put you off – Elric Volume 1: Elric of Melniboné is a well put together graphic novel that captures the essence of Moorcock’s book and translates it to page with aplomb. It has that right level of weirdness and channels the doom-filled saga of Elric, the key things that I feel makes the books so attractive, very well. I may be a little put off by some of the visual choices, and the narrative may feel a little overbearing for what is supposed to be a visual medium, but it’s stood the test of time and would make a great addition to a fantasy collection, be they Moorcock fans or not. It is my great pleasure to welcome to Farsight Blogger Michael Witwer, author of the upcoming Gary Gygax biography 'Empire of Imagination', due out on October 6th 2015. Welcome to Farsight Blogger. Please tell us a bit about yourself. By day, I lead a department of business proposal writers; by night I am a writer, actor, gamer, husband and father. I'm originally from the Chicago area where I still reside with my wife and two kids. What's your history with tabletop gaming? My older brother Sam got me into tabletop role-playing gaming when I was pretty young, probably 5 or 6. Sam purchased a foot-high stack of late 1970s AD&D books and adventure modules from an older neighborhood boy who was selling his collection. I think the first modules we played were The Sinister Secret of Saltmarsh and Danger at Dunwater - developed by TSR UK if I'm not mistaken. I can't say I remember that much about our earliest experiences other than the fact that my best friend and I were often reckless and bloodthirsty, which usually resulted in my Dungeon Master brother getting annoyed and turning our otherwise helpless victims into 9th level monsters who would quickly dispatch our characters. What I can say is that playing D&D was one of my favorite things to do and nurtured my passion for swords-and-sorcery fantasy and even inspired me to take up collecting swords (I still have a few). A few years later we began playing the Star Wars role-playing game by West End Games - a game we played consistently for several years thereafter. I played a court martialed Imperial Captain named Vac Demark, who sort of played the part of diplomat and con man in our group (like Face from the A-Team), alongside Smuggler Max Terran, Jedi Roark Mann, and Bounty Hunter Thom Sabian. 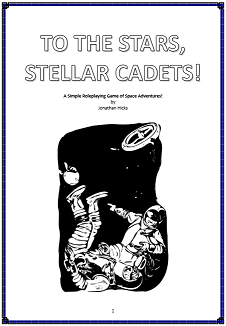 Our first adventure was Starfall and we probably played dozens of subsequent modules. We were all huge Star Wars fans, so having all of the West End books and supplements in those days definitely gave us the inside track on Star Wars knowledge and quite a bit of foundation in the Expanded Universe. 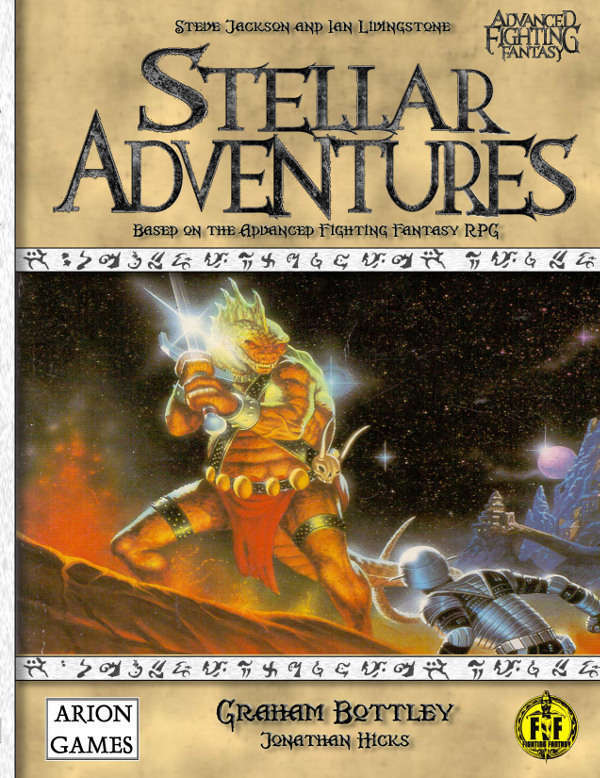 Since then, we have played a number of other games with varying levels of consistency including the Amber diceless role-playing game (we've had several one-off throne wars); several iterations of the Star Wars RPG; FASA's Star Trek RPG; Palladium; TSR's Conan RPG; Castles & Crusades; and of course, several iterations of D&D including AD&D, 2nd Edition; d20 and 4th Edition (still haven't played 5E, but I've heard great things). Of all of those, the experience that stands out most was when we tried to get through Gary's AD&D Tomb of Horrors module - it didn't go well and we never finished although I believe there is a 9th level cleric from my party who is still magically locked in a room who has been keeping himself alive by making food and water for himself everyday. Your working on the book 'Empire of Imagination', all about the life and work of Gary Gygax. Avid gamers like myself already know a lot about the father of the tabletop roleplaying game, so what can we expect to see in this book? When I first started looking into Gary, I was stunned to learn that a biography had not already been written. As I believe most people who grew up playing RPGs would agree, there are so many huge pop-culture phenomena - from aspects of facebook to MMOs, from CPRGs to 1st person shooters - that find their roots in Dungeons & Dragons, but Gary, the driving force/inspiration behind many of these phenomena, is relatively unknown to the mainstream, yet revered by geeks everywhere. One aspect of the book that I feel is worth a mention is the scope: the more I dug into Gary's history, the more I realized that D&D didn't begin in a single day in 1974 when TSR published its first 1,000 copies - it began when Gary played his first game of chess; had his first paranormal experience; read his first pulp magazine, and so forth. For this reason, I felt it was important that the biography be comprehensive, spanning from Gary’s early days to his death in 2008. Another notable aspect is the style: when I was writing early chapter drafts when Empire of Imagination was still a master's thesis project at the University of Chicago, I was experimenting with two different styles: traditional academic biography, and dramatized, narrative non-fiction (a la Erik Larson [Devil in the White City] or probably closer to Ben Mezrich [The Accidental Billionaires (Film: "The Social Network") and Bringing Down the House (Film: "21")]. After awhile, it became clear to me that the best way to tell the story of a storyteller like Gary was in the dramatized, narrative non-fiction style. Rather than relaying dry facts about Gary's life, I really wanted the book to read like a novel - for the reader to follow along as Gary celebrates his victories and agonizes over his defeats. Ultimately, I think we struck a nice balance of factual history with lots of detail paired with good storytelling. If the cover art seems familiar that’s because it was developed by celebrated fantasy artist Jeff Easley, responsible for some of the most iconic D&D artwork of all time. Referential to the cover of one of his earlier masterworks, bestselling Unearthed Arcana by Gary Gygax, Easley’s cover for Empire of Imagination is a wink and a nod to old school gamers, while serving as an invitation to the new. I know we'll learn a lot about Gary Gygax's legacy and the game he helped bring to the masses, but will we learn much about the man himself, his personal life and history? Yes and Yes. With Gary it is very hard to separate his gaming work from his personal life, but I think we managed to give excellent coverage to both. As a life-long role-playing gamer, it was naturally Gary’s work that led me to the idea of taking on a biography, but I quickly discovered that his personal life was equally intriguing. It has all of the high-concept elements of a rags-to-riches-to-rags story. When you add all of these great, never-heard-before facts and stories to the more familiar odyssey of D&D - everything from litigation with the co-creator and alleged psychological dangers, to claims of devil worship and hostile company takeovers - it makes for a very compelling story. Tell us something of your research on this book. What pains did you go to, who did you speak to? Fortunately Gary was a prolific writer and left behind scores of material to review. I pretty much read everything and anything I could get my hands on that he wrote - from his games to issues of the Strategic Review and Dragon, to message boards, fanzines, interviews and autobiographical articles. Other sources that made the book feasible and really helped guide the research process were some of the very excellent RPG histories that have come out over the last few years, most notably Jon Peterson's Playing at the World and Shannon Appelcline's Designers & Dragons. In regards to interviews, I spoke to anyone and everyone I could find that either knew Gary or knew about Gary. This included members of his family, friends, employees, co-workers, collaborators, D&D historians, etc. In all, I conducted or participated in a few dozen formal interviews and meetings. I really tried to talk to people who were there in every era of his life and I think we managed a pretty good cross section of folks, most of whom were eager to help and generous with their knowledge and remembrances of Gary. Do you still get time to game? What's your game/campaign of choice? Absolutely, but because my group is dispersed throughout the country, most of my gaming occurs in a dedicated one-week trip that we take every year (last year was in Lake Geneva) and then intermittently over holidays. The rest of my free time is consumed by my family and this little book project I've been working on over the last 2.5 years. The games that have gotten the most consistent play from our group have been the newer iterations of the Star Wars RPG - a 10-year campaign we finished last spring. I played an actor and aristocrat named Cervantes, who like his predecessor Vac Demark, was far better off talking rather than fighting (again, think Face from A-Team). 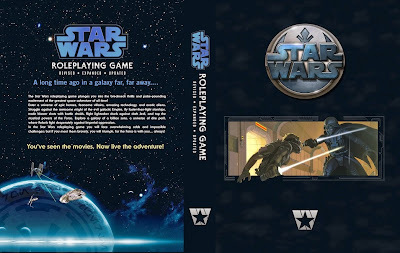 During this campaign, developed and run by my brother, we actually started with the WotC Star Wars RPG rules and eventually transitioned to Fantasy Flight Games' excellent new system to finish the campaign (porting characters from one system to the other was not an easy task though). We are actually now debating what game(s) to play next - I'm sure we'll get around to 5E and a new FFG Star Wars campaign. Recently I had a brief chat with PJ Montgomery, one half of the team that's going to bring us the graphic novel 'The Trolltooth Wars', a comic adaptation of the Steve Jackson Fighting Fantasy novel of the same name. 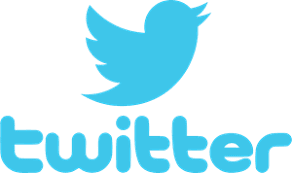 Welcome to Farsight Blogger - perhaps you'd like to tell us a bit about yourself? Thanks for having me! My name's PJ Montgomery, and I'm a writer based in Cardiff, South Wales. I've got a few credits to my name, including the comics Stiffs, The Pride Adventures and the upcoming Dynamite, and have also written episodes of the online radio sitcom Supermarket Matters for In Ear Entertainment, plus the soon-to-be-released short film The Trial for Burnt Papyrus Productions. I'm also a regular contributor over at the pop culture website, Sidekickcast. You've just hit your target on Kickstarter for your graphic novel version of The Trolltooth Wars, so many congratulations for that! How did that feel, and did you ever think you'd never make it? Thanks! It's a pretty crazy feeling. 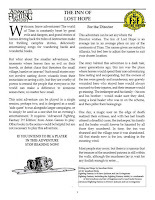 I mean, the fact that so many Fighting Fantasy fans were willing to support it when, in all honesty, most of them probably weren't aware who I was when we started the campaign is amazing. I'm eternally grateful to all of our backers. I'm immensely excited that Gavin Mitchell (the artist drawing the book) and I can bring the comic to people, and incredibly relieved that we actually made it. But yes, there was a time when I thought we'd lose out. The first two weeks of the campaign were fantastic. I think we were up to something like £8,000 as we entered the third week. And then it just seemed to stand still. We'd get a little bit here and there, but it really did look like we had everything we were going to get. Then, suddenly, in the last two days, we suddenly smashed our target. But yeah, it was tense for a while there. Do you have a history with Fighting Fantasy? What is it you like about the books? I've been a fan of the series since I was a young child. There were a couple in the school library, and after playing those to death, I pestered my mum until she bought me a copy of The Warlock of Firetop Mountain. That started an obsession which continues to this day. I think the reason I love them so much is that you get a great fantasy story AND a game all in one. As both a gamer and an avid reader of fantasy fiction, that really appeals to me. That's why they've stayed with me well into adulthood, certainly. What was the attraction to The Trolltooth Wars in particular? There were a number of reasons to go for Trolltooth Wars, not least of which is that it's the first novel set in the Fighting Fantasy universe, so it makes sense chronologically. It's a big story, which I thought would work well in a graphic style, and it features plenty of fan favourite characters, like Yaztromo and Zagor. If you're going to try and make a comic based on Fighting Fantasy, then it's a good place to start. Was it a difficult project, and did you solely use the original novel as source material? There was an element of difficulty with writing the script, but there always is when you translate an existing story into a new medium. What made that story work in one format isn't necessarily what will make it work in another, so playing around with that and trying to figure out the best way to tell the story as a comic was tricky, but once I got into the swing, it all came together fairly well. And while Trolltooth Wars is the biggest source we drew on, we did look at a few other Fighting Fantasy books as well, just for little bits and pieces. Fans will see references to Citadel of Chaos, Forest of Doom, Creature of Havoc and a few more in there, and hopefully get a kick out of all the little Easter Eggs we've planted. How close are you sticking to the book? Strict and straight or are you taking some artistic license? We're sticking pretty close in terms of the overall story. It's the same characters, the same plot and settings, etcetera. There are changes here and there, but mostly small things. Cuts or additions where we need them to move the story along, dialogue changes here and there. We want this to be recognisable as Trolltooth Wars, but to also be a new version of the story that even people who know the novel inside and out can enjoy. The main ones at the moment are Stiffs and Dynamite. Stiffs is a horror comedy comic I co-write, which is set in South Wales, and features a group of twenty-somethings all stuck in dead end jobs who get their kicks by hunting zombies in their free time. And one of them is a talking monkey named Kenny. It's a five issue series, that I wrote with Drew Davies and Joe Glass, and is also drawn by Gavin. The first three issues are currently available in our webstore, or on Comixology, with the final two due at a later date. Dynamite, meanwhile, is a graphic novel based on the album of the same name by Kevin Pearce. Kevin and I co-plotted the comic, then I went off and wrote the script, which is currently being drawn by Shaun Speight. It's about a man who finds the world he lives in pushes him too far, and he becomes a vigilante called Dynamite. That's due out later this year. After that, there are a few things in the very early stages, but nothing I can really talk about yet. I'll also be at both the Cardiff Independent Comic Expo in June this year, and the Thoughtbubble Comic Con in Leeds in November, so if anyone's at either event, please stop by and say hi! I always get nervous whenever I read stories influenced or inspired by one of the greats – I get even more nervous when the work is directly related to the original work of the author. I get the feeling that I’m going to be horribly disappointed in a L. Sprague de Camp ‘Conan the Liberator’-type way; a great author in his own right who seemed to totally miss the mark of what makes Conan great. Thankfully, ‘Weirder Shadows Over Innsmouth’ doesn’t give me that feeling but it does leave me with the sense that there was something lacking, that the stories within were relying on Lovecraft’s work to give the stories credibility, rather than the stories standing on their own. Could this be personal bias, being the Lovecraft fan that I am? Perhaps I expected too much? Maybe. This is not to say that the stories are bad, or pale pastiches or emulations of Lovecraft’s work. In fact, the stories themselves are an enjoyable read and I found myself speeding through the book at a decent pace. The stories do vary in quality and none of them are bad, but then they’re not truly outstanding. If I had to be pinned down on a comment I’d have to say that I simply enjoyed them. If I had to pick the not-authored-by-Lovecraft stories that I enjoyed the most, it would have to be Kim Newman’s ‘RICHARD RIDDLE, BOY DETECTIVE in "The Case of the French Spy"’ – a sort of Famous Five-meets-Lovecraft, sans two kids and a dog, and written in an adventurous tone reminiscent of the Enid Blyton classics. It’s fun and a refreshingly different take on the Mythos, which makes for a fresh and strangely enjoyable story, even when the blood is flying and the heads are rolling. My second choice is Caitlin R. Kiernan’s story ‘THE TRANSITION OF ELIZABETH HASKINGS’ – it was suitably creepy and the body horror – in this case the transformation of a human being into something else and all that entails both physically and mentally - is disturbing. It’s a very short story but I found it quite powerful. ‘Weirder Shadows Over Innsmouth’ is a good book filled with some well written short stories, but I do think that, considering the source material, I spent too much of my time and efforts comparing these new stories to Lovecraft’s original work. Considering that the stories are all linked in some way to the original story that’s almost inevitable, so perhaps I’ll revisit the stories again later in the future and try to purge my mind of all things HPL, and try to approach the stories differently. I can recommend the book, especially to Lovecraft fans. Imaginary Empire releases Wicked Lies & Alibis, a whodunit roleplaying game set in the age of Art Deco. Wicked Lies & Alibis uses simple card-based mechanics to recreate murder mystery stories in the finest tradition of the golden-age of detective fiction. Innovative character creation and structured opening scenes support players to generate a cast of complex characters who all have a motive to kill the victim. The remainder of the game is played as a series of flashback rounds where each player, in turn, assumes a degree of narrative control to frame a flashback which incriminates another character. The Game Master has a dual role, both as facilitator of scenes, and as the Great Detective, a Non-Player Character summoned to solve the murder, who summarises the evidence revealed by the characters, and reveals the motives of the characters one-by-one before finally disclosing the identity of the murderer. 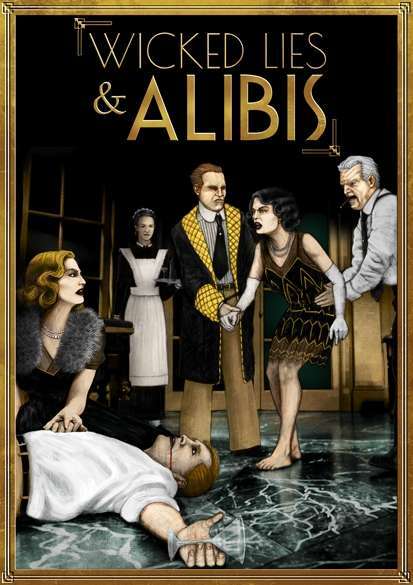 Wicked Lies & Alibis includes all the cards needed to play, detailed facilitation notes to support the GM in running the game, details about the era of Art Deco to add to the realism of the setting, and nine murder mysteries along with suggestions for the Great Detectives who might solve the case. Wicked Lies & Alibis is available from DriveThruRPG and RPGNow in PDF and print. A high-quality printed card deck is also available, bundled with the PDF. Imaginary Empire publishes the multi-ENnie award nominated EPOCH survival horror roleplaying game. Imaginary Empire is a member of the Game Publishers Guild, a strategic alliance of publishers committed to driving excellence in their products through cooperation and collaboration. I’ve enjoyed the Pathfinder comics up to yet and this series is a nice new angle on the heroes I’ve come to enjoy. I’d say it’s a better starting point for newcomers to Golarion as it gets to the bones of the antagonists and serves as an introduction, not just to the characters but to the world as a whole. There’s plenty of references to places and events that non-Pathfinder readers won’t recognise, but this adds background and flavour to the story and it isn’t necessary to know the world inside out. Erik Mona’s writing shows his deep knowledge of the Pathfinder world without alienating newcomers, so it’s a crisp, enjoyable read for everyone. The story itself is interesting and filled with adventure, but I can’t help but feel that the introduction is a bit too long and the dialogue throughout can feel a lot like exposition, and I didn’t feel as though I got to know the characters as well as I would have liked – sure, I know them from the previous comics but it would have been nice to know a little more about them as people rather than just read about what they got up to in their early years. In fact, we learn more about the character of Amiri, and I ended up wanting to follow her story more than the comic’s title character Valeros. Still, it’s an imaginary world so exposition is almost a given, and it’s the first of 6 issues so we’ll no doubt learn more as we go on. Tom Garcia’s splendid artwork, highlighted by the atmospheric colouring by Mohan and the clean, functional lettering by Marshall Dillon is what shines in this comic. Garcia’s illustrations are dynamic and he renders the iconic heroes well, and in spite of a particularly gruesome image of someone being cleaved in two, which I felt was somewhat out of place and gratuitous, the imagery is wonderful and captures the action, adventure and danger of the setting really well. 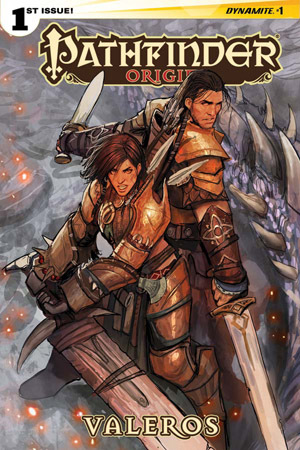 Pathfinder Origins issue 1 is action packed and will please Pathfinder players as well as general sword ‘n sorcery fans. 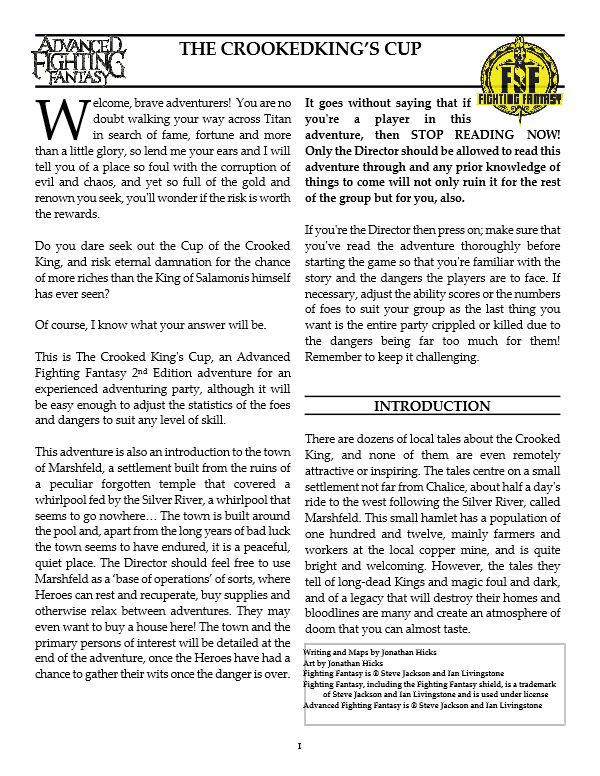 It’s a good solid read and the extras that you get in the comic – the map and the RPG encounter – are a welcome bonus. Recommended.